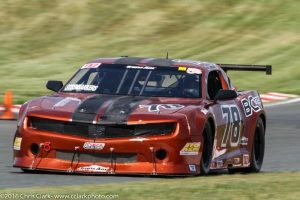 We are pleased to announce that BC Race Cars Inc. has added a TA car to its fleet of rental race cars, eligible to compete in the SCCA Trans-Am series or any other club series where GT1 cars may participate. Serial # MP-008 was built for Allan Lewis in 2012 by BCR, and has been maintained by us ever since. 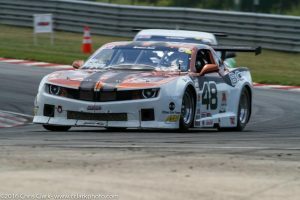 Allan has competed in select Trans-Am races over the past 4 years and accomplished numerous top 10 finishes. When Allan decided to sell the car, we jumped at the opportunity to own this beautiful piece of equipment. 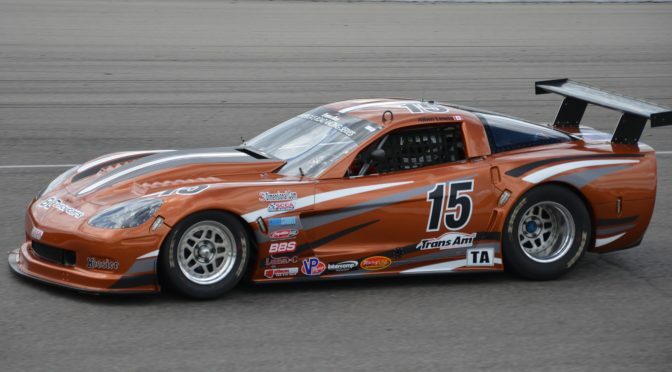 Bodied as a C6 Corvette, the car boasts many top end features; Ohlins 4-way shocks, driver adjustable anti-roll bars, PME SB2.2 engine, carbon driveshaft to name a few. 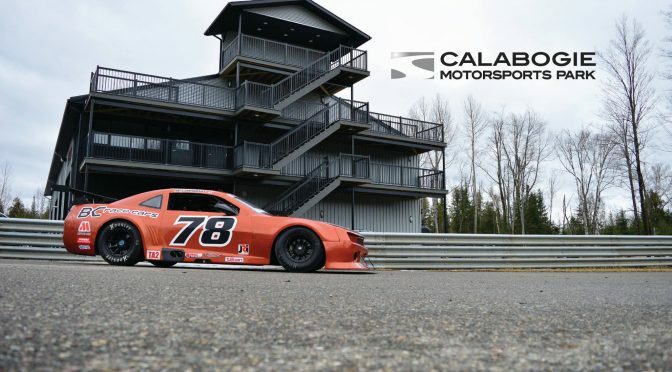 It is highly competitive and Allan has done a 1:17.3 at Mosport International Raceway. We offer this car as an “arrive and drive” package only. Interested drivers please contact Blaise Csida @ 647-283-1306 for rates and availability. 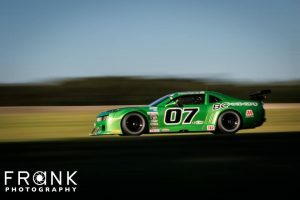 Allan Lewis of BC RACE CARS #15 Trans AM in-car video of a 1:17.3 lap at Mosport. 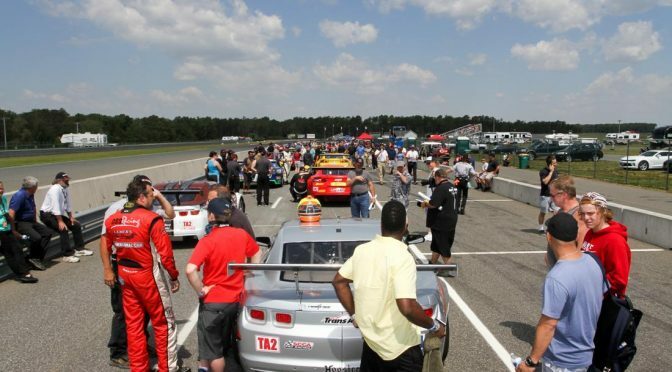 Round 4 of the SCCA Trans-AM series was held at New Jersey Motorsports Park, and BCR had 3 cars running in the TA2 class. With that many cars, there are so many ups and down, but the crew and drivers prevailed again, with Jordan and Harry finishing in the top ten. Harry’s car struggled in practise, but with the help of the AEM track support crew, we found an O2 sensor problem that prevented realizing full power. We corrected the issue, and Harry promptly put the car 6th in qualifying. An exciting race ensued, till Harry went off track fighting for 5th position, plugging the radiator inlet which forced a trip down pit road to clear the debris. In this competitive series, there is no coming back, especially since the race ran green flag-to-flag. Harry was super quick, turning the second fastest lap of the race, and worked his way back up to 10th at the checkered flag. Mike McGahern had car set up issues all weekend, we simply could not give him a comfortable car to drive. He tried desperately, but the heat and witchy car was too much to handle. Jordan qualified 10th and worked his usual magic in the race, staying out of trouble and methodically picking off position after position. The car stayed consistent thru-out the race and he was able to advance all the way to 6th position, narrowly missing out on 5th. Well done, this is his 5th consecutive top 10 finish in TA2! 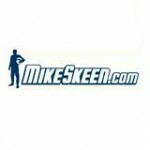 We wish to thank Mike Skeen who worked with us this weekend; he was able to verify our set-ups and provide invaluable coaching to our drivers. We hope he will work with us again! Many thanks to the BCR crew, our reports seldom include the work they do and the preparation they perform on these cars. Our cars run every session of every race weekend and have finished every race so far, a testament to the thoroughness and attention to detail the BCR crew exhibits. They also stay at the track as long as it takes to get things 100%. Thank you fellows!